If you’re just as obsessed with traveling as we are, you’ll know that packing for a vacation is one of the hardest things to do. Sure, you can get excited about wandering around temples, frolicking on a beach, exploring rainforests and other fun activities, but if you haven’t packed the right essentials you might be turning as red as a tomato on the beach, being bitten within an inch of your life in the rainforest, and walking around with broken shoes in the temples. It’ll be a mess. Want our help? We travel all the time, and these are the 10 things we never get on a plane without. Gone are the days of simply taking a backpack as your flight carry-on – the world of traveling has advanced. Nowadays, you can buy awesome multi-functional bags that is a mix between a backpack and a tiny suitcase. Despite their size, these kinds of carry-on cases have enough space to carry everything you need for the plane journey, as well as being both practical and fashionable. There’s nothing worse than opening your bag to find that your headphones have got caught up in all of your other belongings, or saturated with the hand lotion that popped open mid-flight. This is why we always opt for wireless headphones that you can simply keep in your pocket – away from anything that might hurt or harm them. Nowadays, these kinds of headphones normally have a 6-8 hour charge on them, which is perfect for a mid to long-haul flight. It’s no secret that sitting on a plane for hours on end is not comfortable in the slightest, which is why should always take it upon yourself to try anything to be comfortable. One of the best ways to do this is to wear your most comfortable and most supportive socks. This way, your feet will feel warm, toasty and soft as you sit in the stagnant air of the airplane. If you hadn’t already guessed, we’re all about using things that can be used for different purposes, which is why you should get a multi-purpose toiletry bag. When you’re traveling a lot, it is not practical to carry various different bags for different categories of cosmetics and toiletries. By buying yourself an all-in-one bag that has separate compartments, you will save yourself a lot of hassle. During ours travels, we’ve realized that the toothbrushes you receive in hotels or on long flights are often painful and uncomfortable – which is why it’s always important to travel with a toothbrush you’re used to. Whether you want something a bit fancy, or whether you’re used to a cheap dollar toothbrush from the local store, it’ll save you a lot of hassle and bleeding gums. You might be wondering what other purpose a wallet could have – but it’s actually pretty nifty! You can now buy wallets and purses that double up as battery packs for your cell phone, which is perfect for a long flight or a day of traveling. Instead of finding yourself with no battery, you can simply plug it into your purse and charge it up as you go. You may have your multi-purpose carry-on, but this bag is not practical for wandering around small side streets, checking out traditional markets, or even surviving a flight. This is why a personal backpack is one of the 10 things we never get on a plane without. This is where you can carry everything from your water to a good book, to your sunglasses, to your headphones and more. By using a personal backpack, you can separate your important flight essentials from your luxuries. It’s easy to feel overwhelmed with all of the items you need to take on a flight, which is why it’s best to keep as many things as possible together. This is why it’s a good idea to invest in fancy phone cases that have space for important cards such as ID or bank card. This way, you do not have to fumble around for a purse if you need these items, as they will always be with your phone. Just as you don’t want to step on a plane without comfy socks, you also don’t want to step on a plane without comfortable clothes. When you’re stuck in one position for a few hours, the last thing you want is to be constricted by your clothing. So, steer clear of tight clothing such as denim, and opt for looser items such as leggings, sweaters and more. 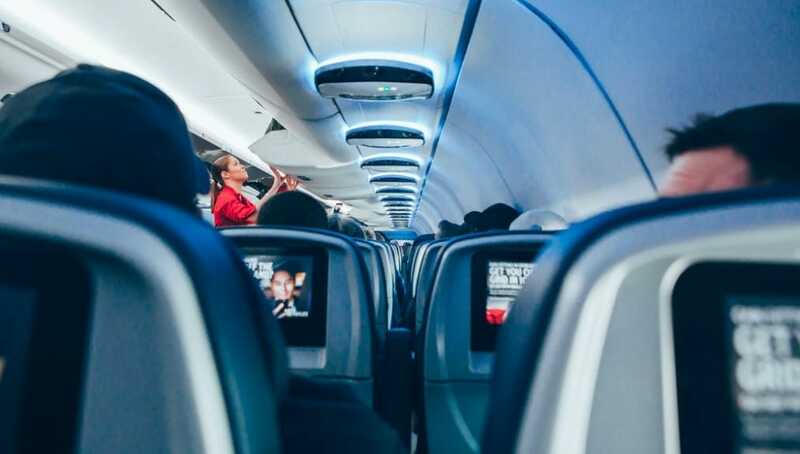 There are a few issues with airplanes; they’re not totally clean, and they’re extremely dry – and these factors can wreak havoc on your body. If you find your skin feels dry during every single flight, then start arming yourself with quality skin care, such as hand lotion and cleansing lotion to avoid bacteria. 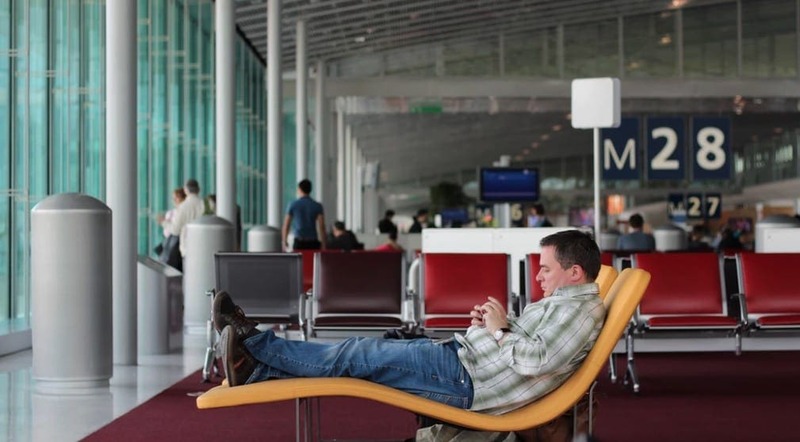 If you travel as much as we do, you’ve learned what works and what doesn’t when you’re in-flight – and after many years, we’ve come to the conclusion that these 10 things are essential. Trust us!